This entry was posted in news and tagged Germany motorsport racing on April 25, 2014 by James Day. The popular Mini John Cooper Works Challenge vehicles will find a new “home” next season in the DTC/ADAC PROCAR. 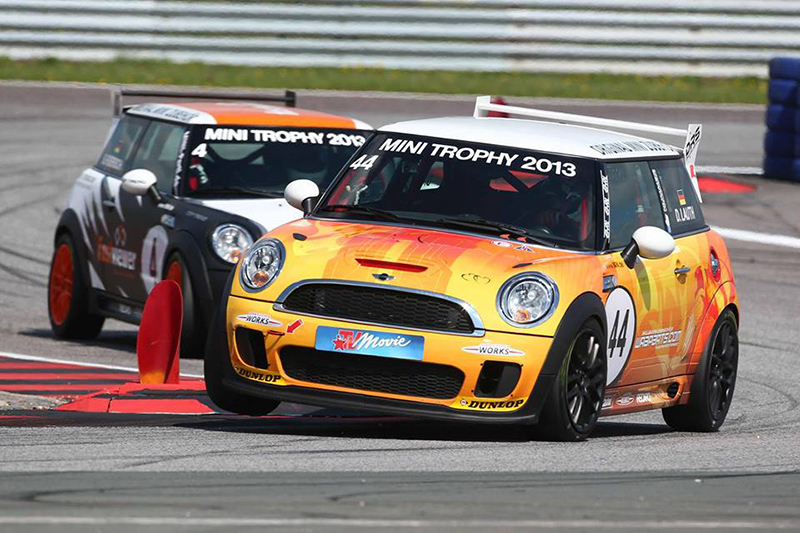 A basis has been found in cooperation with drivers and former organizers to let the Minis start in the Division M(ini) which is exclusively reserved for them. The technical foundation for the future joint races is the existing regulation of the Mini Trophy. Without bigger adjustments or modifications the vehicles can take part in the newly created Division M. „The preparations have been running in the background for a longer time already. In the meantime we have reached the point where we have talked through the technical regulations except from some small details so that our scrutineer may now determine“, series organizer Rainer Bastuck explains. It is indeed a challenging task to integrate a formerly independent series into an existing one, but with the common vision for season 2014 in sight, important decisions have already been made. The Division M(ini) will further extend the starter field of the DTC/ADAC PROCAR as third division. MINIs can also compete in the new Division 1T which is exclusively for cars with 1.6 L turbocharged engines. The new series begins this weekend with two races in Oschersleben, Germany. ADAC PROCAR – Racing series with news, teams, results, photos, videos, live timing, and more, also a Facebook page. Frensch Power Motorsport – Follow the driver Steve Kirsch. H&R Team Dombek – Driver Kai Jordan, visit his Facebook page. Heide Motorsport – Read their PROCAR article and visit their Facebook page. IMC Motorsport – Visit their their Facebook page, drivers Victoria Froß and Lisa Brunner (PROCAR interview and Facebook page). MINI Racing Team – Known as mini-racing-team.de, visit their Facebook page, with driver Dirk Lauth (#44). Racing 4 Friends – Will also race in Division 1T, visit their Facebook page. 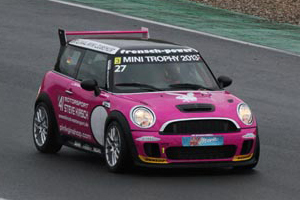 Besaplast Team Dombeck – Reigning MINI Trophy champion Thomas Tekaat, read his PROCAR interview. Also visit their Facebook page.